Thank you for using your networks to circulate the good news about these inspiring peacemakers working for peace around the world. 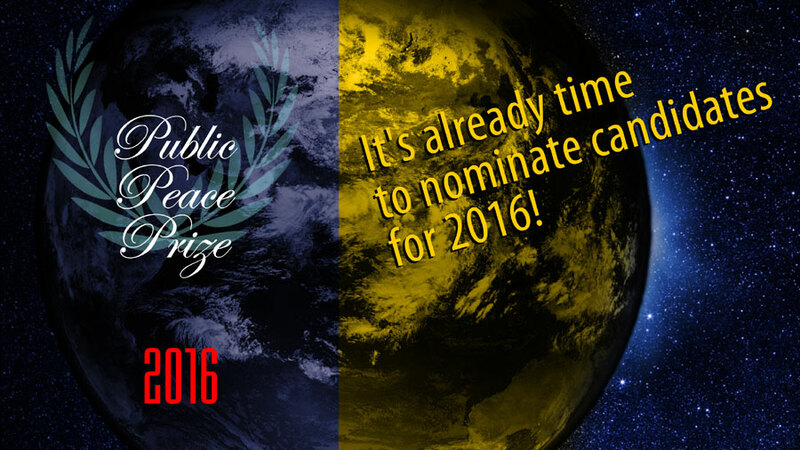 The nomination period for the 2016 edition of the Public Peace Prize is now open until May 30th, 2015. You can already be on the lookout for people or groups who are building community, weaving connections in populations facing conflict, promoting peace education and fostering a culture of peace. A maximum of only 24 finalists will be accepted for the 2016 competition, so send your nominations in as soon as possible! 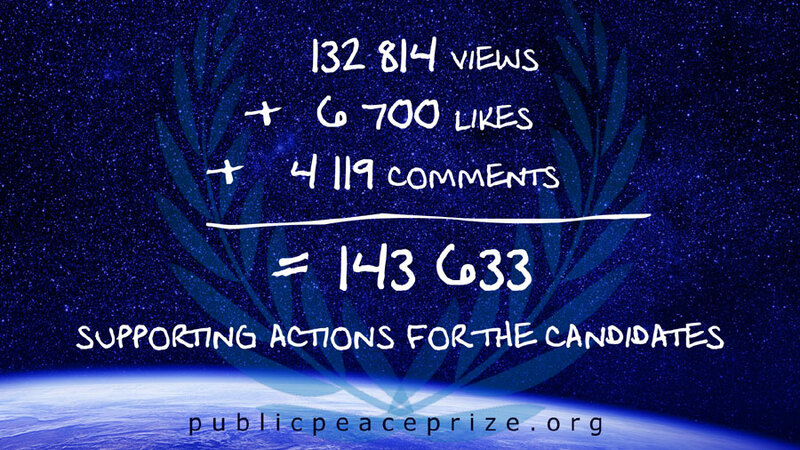 ← The 2015 Public Peace Prize voting period has come to a close!